There are 28 posts filed in interpreting (this is page 1 of 14). Privatisation has hit the news once again. There was some news a year ago that Carillion, private provider of 450 public contracts providing school dinners, hospital cleaning and prison maintenance, had unashamedly collapsed. By September, it was realised that the taxpayer bill would top £150m as Freedom of Information requests from Unite the Union showed redundancy payments alone would be £65m. The lifetime value of outsourcing contracts awarded in 2017-18 “rocketed” by 53% from £62bn to £95bn in the past year, according to the GMB union, which pointed to nearly £2bn in contracts awarded to Capita and Interserve despite both issuing profit warnings. So outsourcing by this government is escalating despite the inability (or unwillingness?) to monitor, regulate and properly oversee the spend of public money. And in the world of interpreting and translation? 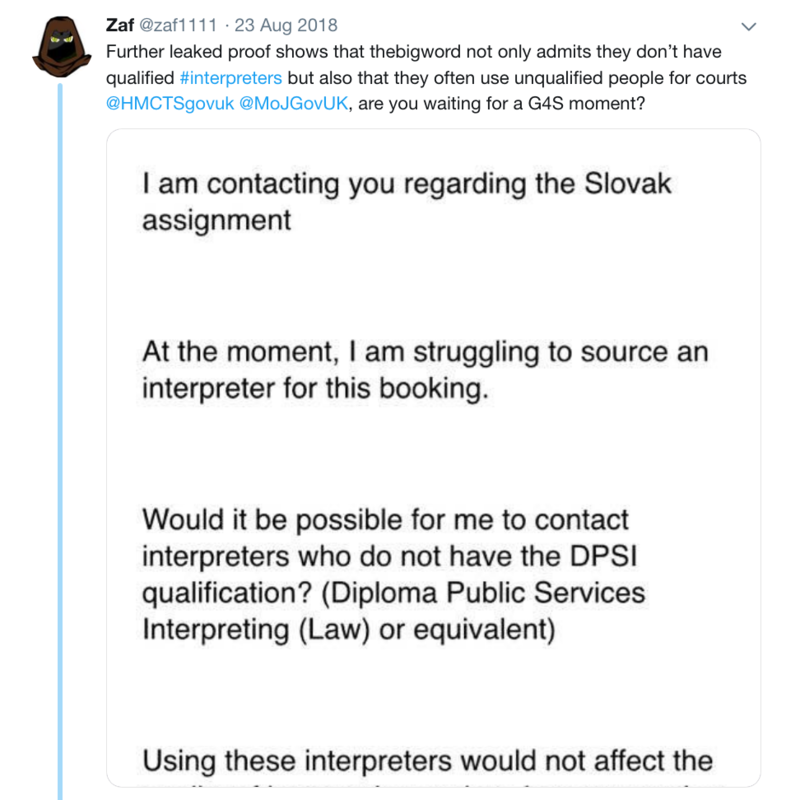 This month in the North East, ITL were found to be providing unqualified interpreters for police interviews with one Czech “interpreter” telling the suspects not to say too much and conducting his own type of interview. They hold £1.1m worth of police interpreting contracts. Back in October 2018, Language Empire were caught trying to steal business from The Big Word by diverting traffic to a website they owned. Desperate times then at a cost of a £240k fine. We already know Pearl Linguistics went bankrupt in 2017. The stock market value of Capita dropped by a whopping £1bn after those profit warnings and outside of interpreting Interserve shares dropped to an all time low and they’re trying to avoid a “Carillion-style” collapse. Labour MPs have asked that companies heading into a downfall spiral do not get awarded new contracts as, surprisingly, Carillion were. We all know the appalling quality that we’ve seen since 2010 when privatisation of the sector became rife and this blog started and it continues unabated. All of these contracts have caveats in them. 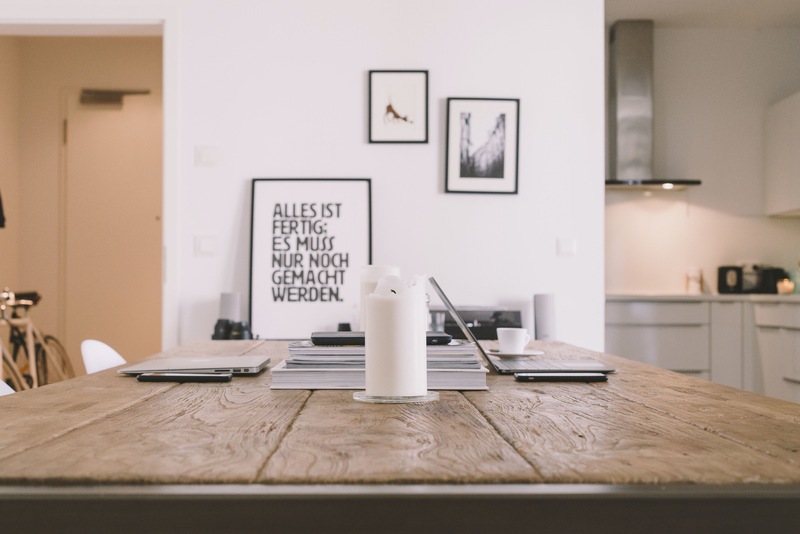 Can’t find a qualified interpreter? Use whatever you can find. The HMCTS responses on Twitter were indicative of how these caveats work and the government ethos on the leeway it gives companies. When consulting with government, NUBSLI heard time and time again about how the government were monitoring and regulating to ensure quality and service whereas the reality is far from that. It is a government in defence of a broken privatisation policy that is widely recognised as failing workers and the people who need an interpreting service. Quality assurance is baloney. It is done by yet another company only interested in playing the privatisation and profits game. And the contracts stipulate lower standards to be reached with only random sampling of quality. Hit and miss at best. Dangerous at worst. So of course the companies say they have fulfilled contracts, get better profit margins at using less qualified people, the government gets to say the companies are fairing well, this ethos works as we save money and all the time this lowering of standards is funded by your tax pounds. Amongst a backdrop of increasing fares but failure of rail services, increasing costs of utility bills, and a largely complicit media, it looks like the only thing that will stop the ongoing omnishambles is a new government and a new paradigm in the provision of public services. This blog has been inactive for a while as I’ve been completing my Masters (got a distinction), volunteering for NUBSLI (brilliant experience, stood down to go on maternity leave) and had my second child (now a year ago). I currently have other family commitments too. All of this plus the complexities of being a working mum, leaves little spare time. I’ve left the blog up as the articles mostly represent a historical record of the failed 2011 Ministry of Justice interpreting contract from my perspective as a Sign Language Interpreter. Although this was the main impetus for starting this blog, articles have covered the creeping privatisation of our work from around that time, problems with Access to Work funding, issues with fees, NUBSLI’s work, membership organisations, the problems of regulatory/registration bodies and the general state of our profession. Will there be more writing to come? There is much I have missed over the last year or so that I may well come back to write about but for now the blog stays up as it is. Before I write any more posts, I am committed to canvassing for the Labour party leading up to the general election in June which takes up much of my remaining spare time!